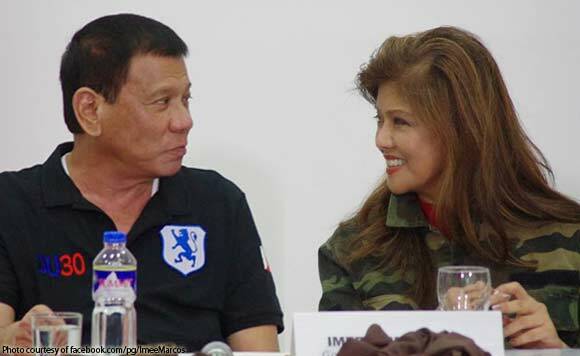 President Rodrigo Duterte revealed that he calls Ilocos Norte Governor Imee Marcos by her first, rather second name. President Duterte revealed Marcos’ full first name: Imelda Josefa. “Kasi Pilipina beauty talaga. Ang tawag ko sa kanya ngayon, ‘Hoy, Josefa. '” He said. Marcos was named after her mother, former First Lady and now Ilocos Norte congresswoman Imelda Marcos, and her paternal grandmother, Josefa Edralin.